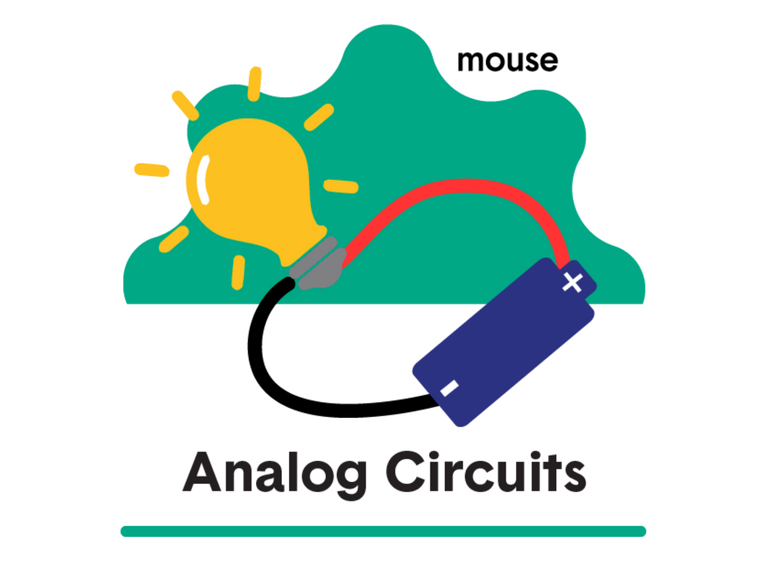 The Circuitry & Electronics course encourages students to design, create, tinker, and build with technology. 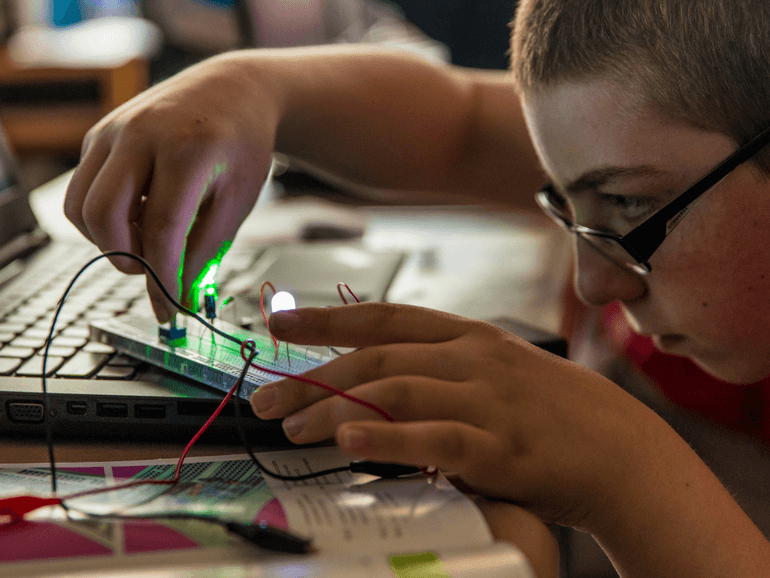 Youth build analog circuits using LEDs, transistors, and sensors, and learn to program an Arduino microcontroller to create a digital music maker and light chaser. 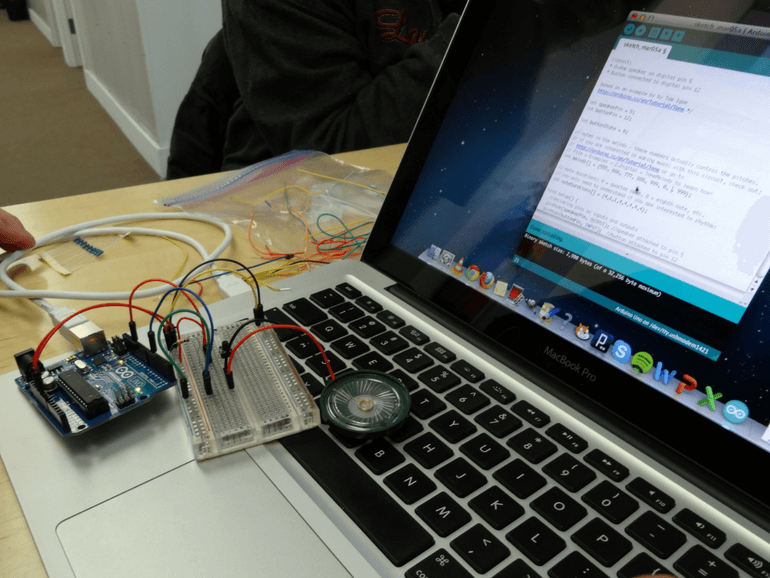 The Circuitry & Electronics Course materials can be purchased through Sparkle Labs as the “Discover Arduino Bundle.” Each kit serves approximately 2-4 students. Mouse has designed several courses as recommended learning sequences for groups that want to focus on competency areas that complement one another thematically. Learn more about our Mouse Courses. 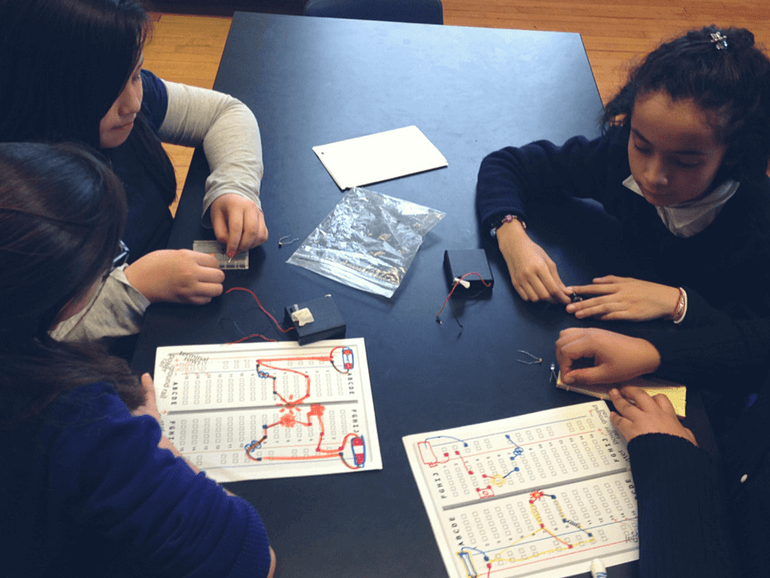 The Human Circuit: Discover how electricity flows in a circuit by creating a human circuit using your own body's conductivity. 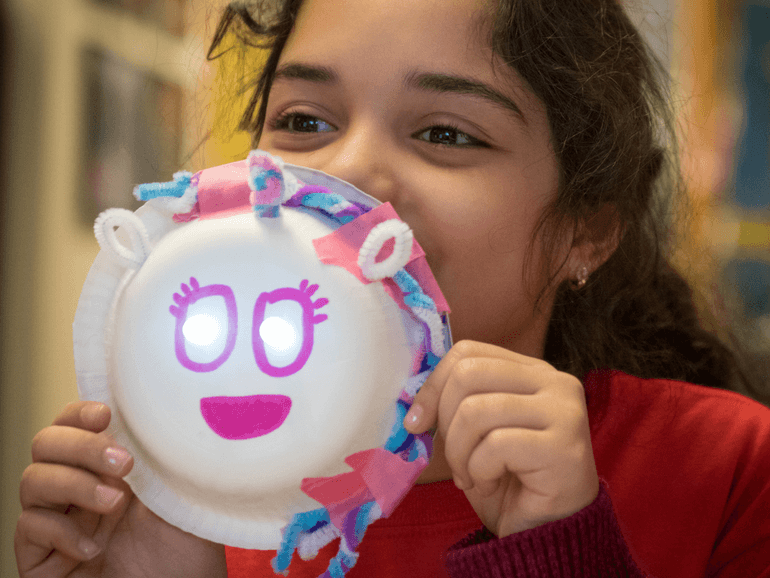 Light-Up Creature: Learn how simple circuits work by creating an LED light-up creature. Building with a Breadboard: Build a simple lamp that lights up with the push of a button while learning the basics of prototyping and powering circuits on a breadboard. Light Dimmers and Intelligent Sensors: Control the resistance of an LED circuit using different parts and understand how Ohm's Law works. Transistor Nightlight: Make a circuit with a transistor that will turn an LED light on when it is dark. 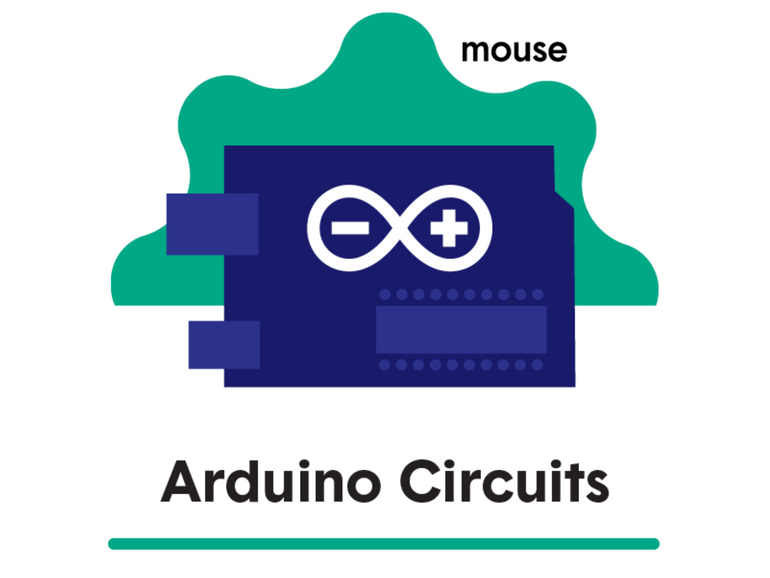 Intro to the Arduino: Create and program a digital blinking LED light circuit with an Arduino microcontroller. LED Light Chaser: Program an Arduino microcontroller to make an LED light show and edit the code to come up with your own light patterns! Arduino Sound Machine: Build and code a music-playing circuit using an Arduino. 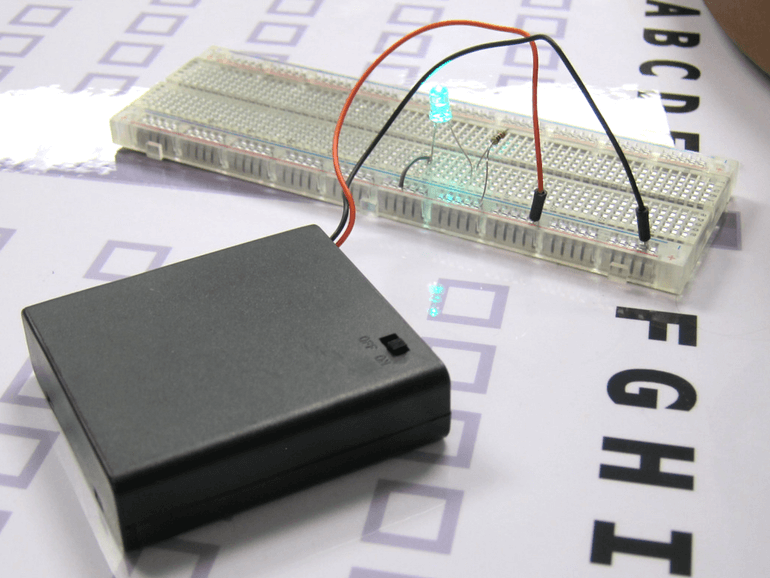 Arduino Nightlight: Build a digital nightlight with an Arduino and an analog photoresistor. Design your own Digital Circuit: Design your own Arduino-controlled invention by researching, brainstorming, and creating a detailed parts list and blueprint. Build your own Digital Circuit: Turn your original design into a real digital circuit prototype by building, testing, and improving over several iterations. How to Use a Multimeter: Learn how to use this essential tool to measure electricity, test batteries and check for continuity in a circuit. Raspberry Pi LED Light Chaser: Program a Raspberry Pi to make an LED light show and edit the code to come up with your own light designs. Raspberry Pi Nightlight: Build a digital nightlight with a Raspberry Pi and write a program that reads and processes light data from an analog photoresistor. Raspberry Pi Sound Machine: Build and code a music-playing circuit with a Raspberry Pi, then remix the code to turn it into an alarm system. 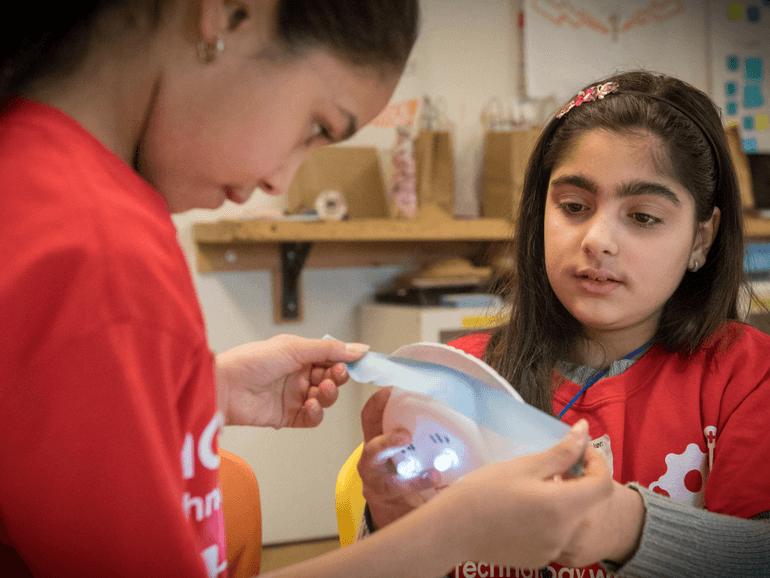 Mouse Create is our online learning platform designed for young people to build the skills they need to apply design and technology creatively to the world around them. 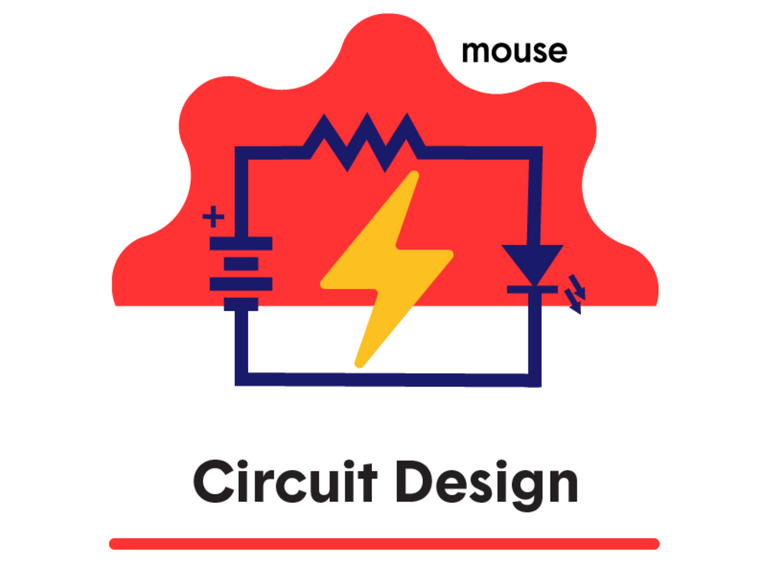 Mouse Create provides hands-on, interactive projects that include everything from web literacy and fixer skills, to innovative content areas, like circuitry, game design, coding, and green technology. Join the Mouse Learning Network!